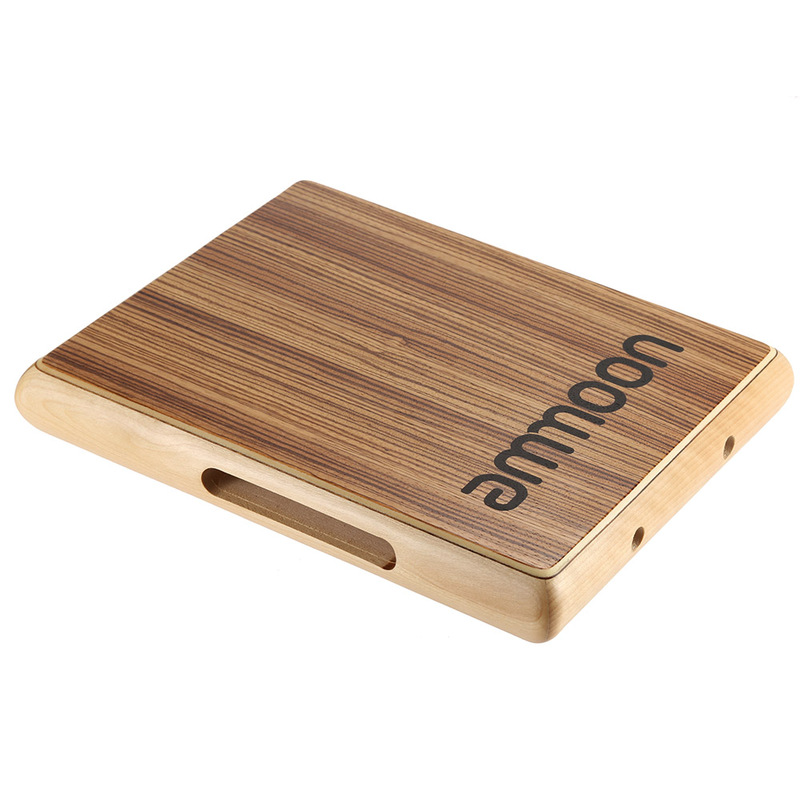 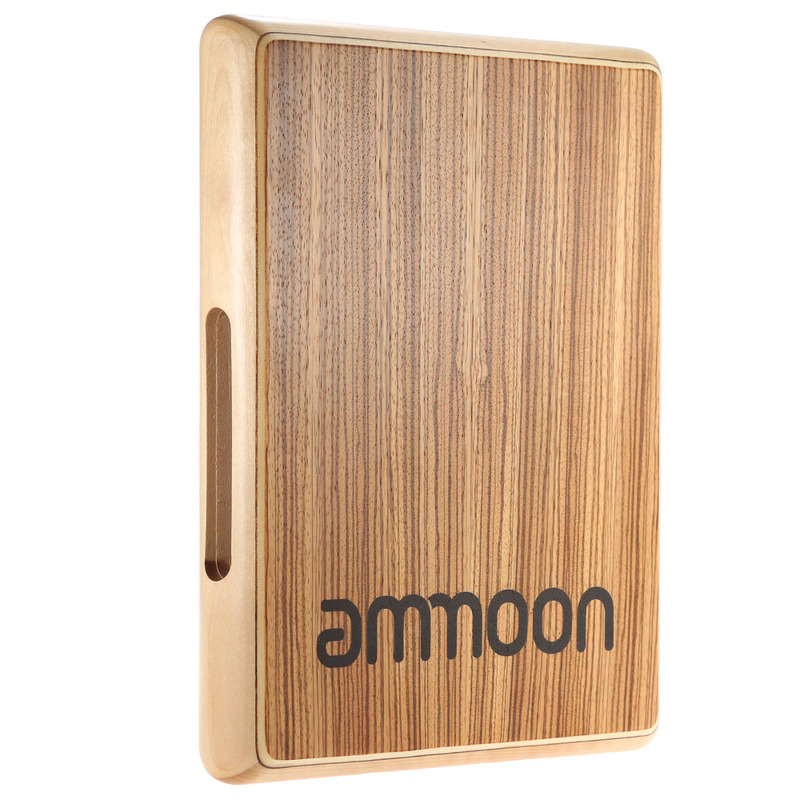 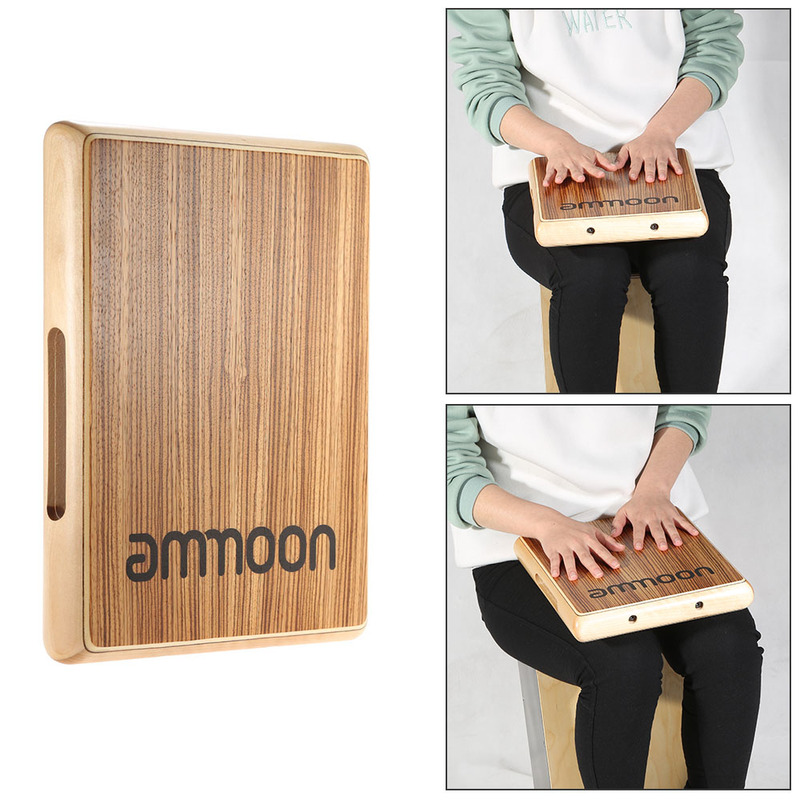 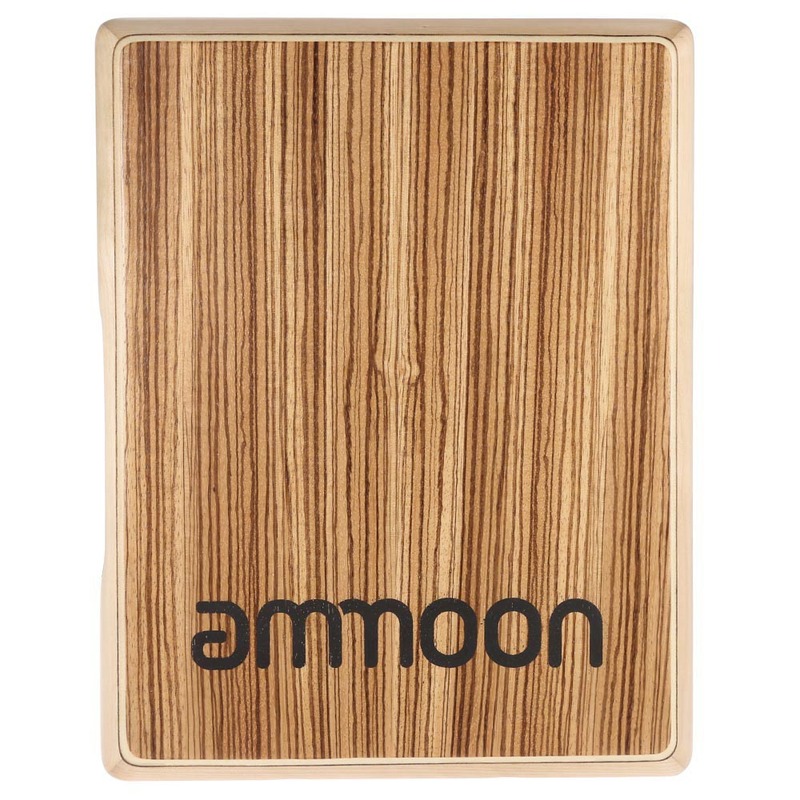 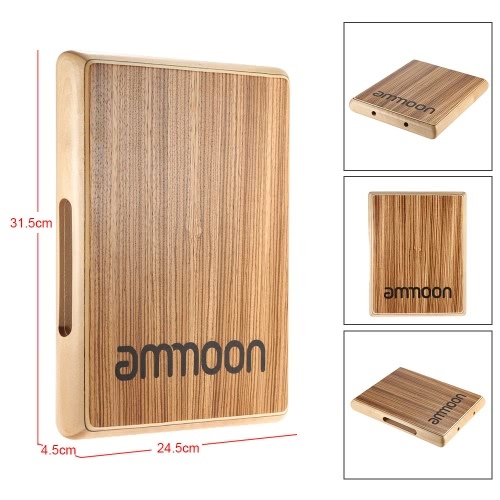 Special flat shape cajon, compact size, easy to take along. 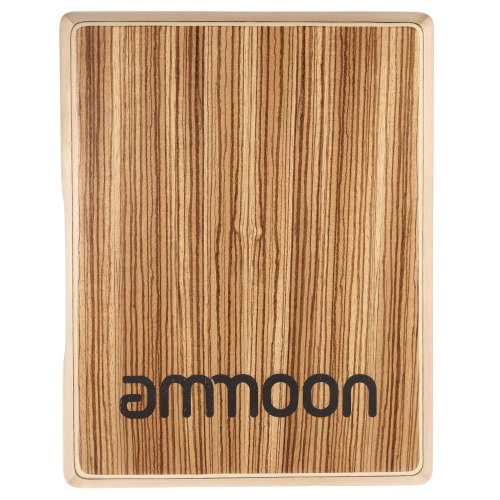 The front and rear faces are made of wood with beautiful texture. 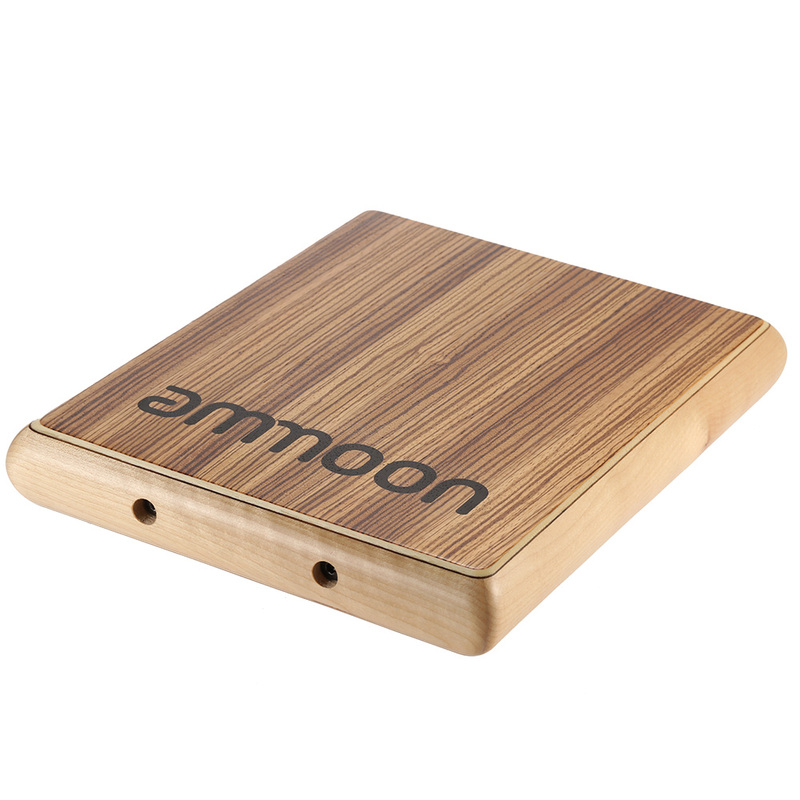 With a sound hole in the side face and several strings inside for special buzz-like effect.